I love you guys. You are my bestselling market outside of the United States and you’ve given me awards — but even before then I’ve always had an interest in you. Did you know I took seven years of German in high school and college? It’s true, I did. Yes I was terrible at it, and even now I speak German roughly as well as I juggle flaming chainsaws, which is to say not at all. But that’s my fault, not yours. Heck, I even once applied to spend a year as an exchange student in Germany, and made it to the final round, only to be knocked out of contention because I was one-tenth of a grade point under the person who got the last slot. And, really, Germany, what has that person ever done for you? Nothing. Seriously, I think they got lost in the Schwarzwald while they were there and were consumed by bears. I’m pretty sure that’s what happened. I think I read about it one time. The point is, they never appreciated you like I appreciated you. And they certainly didn’t write you novels, like I did. Full of love. And also spaceships and lasers. And possibly one more city to come. More details, including dates and places, are coming in the future. Those of you looking at these cities and thinking to yourself “Frankfurt? In October? Will he be at the Book Fair?” The answer is: Yes! I will be there, and other places as well. And from there I’ll be off through your fair land, riding trains and giving readings. It’s all very well timed, since Der Wilde Planet, the German version of Fuzzy Nation, will be released there in September. So prepare yourself, Germany! For I am coming. And, oh, the fun we shall have. Sie sind nach Deutschland reisen? that’s AWESOME :) I don’t live there but it’s cool your going. You are however coming to Toronto also this year so hopefully I can time my appointments to match. No Berlin? The city with an awesome 80s band named after it? Mein gott! So, seven years of a foreign language and you don’t speak it. You make me feel good about my three wasted years of Spanish. Thanks! I’ve come to the conclusion that despite my interest in linguistics and foreign languages, I don’t have any native talent for actually _learning_ languages. *sigh* Curse you, brain! Germany is that girl in High School that never gave you the time of day and this tour is you High School reunion. Time to rub your success in their face and make them sorry the ever rejected you. The state department? What else are you going to be doing there??? I only had to take one year of German to speak it as poorly as I currently do. Hey, I would love to see you juggle flaming chainswaw. If I read in German I suspect it would be classified as a major diplomatic incident. How is the US State Department involved? Catherine @5 – My suspicion is that whenever a US citizen travels to a foreign country, and has to check the box that says the trip is for ‘business’ rather than ‘pleasure’ that the State Dept gets involved. Or if not all the time, a specific subset of times wherein this case falls. Just watch out for all those laser blasting spaceships. out of curiosity, are there certian writing styles or sci-fi genres that appeal to readers more in certain countries? For example, you are very popular in germany. 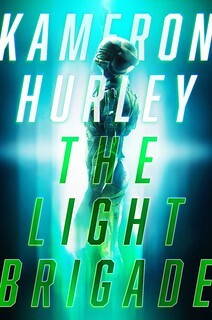 You are probably not as popular as other sci-fi authors that have comparable US sales to you in others. This would be an interesting blog piece if you know ,especially for active Science Fiction writers. Beers are on me when you are here (limited to Frankfurt)!. Seriously: I am just a few minutes away and would love to know what your schedule is to buy a round. Or two. Or three. I even know where there is a decent microbrewery so you can get some of the Real Stuff. If beer is not your poison, there are lots of alternatives. Even Appelwoi (Apple Wine, a Frankfurt specialty…). I lived for 12 years in Freiburg as well: let me know and I’ll tell you what’s cool to do there. Where will you be reading in Frankfurt? Hugendubel? Can I bring all my copies of your English language books to signing for an autograph? I don’t think that “business” or “pleasure” makes a difference here. I’m guessing its some kind of good will thing co sponsored by the gov’t. In my previous job, I used to travel to Europe for work quite frequently (Italy, England, Netherlands). Issuing my passport was pretty much the extent to how much the State Department was involved. Wow, I can’t believe that you won’t be in Berlin! The capital and the largest city by a factor of 4! Now I’m sad:-(. I hope I can make it to the book fair in Frankfurt. Or maybe this one additional town is even somewhere closer, since all other cities are in the south… Unselfishly I would recommend something in the Ruhr area (Ruhrpott!). That’s awesome! Stuttgart and Tübingen are both only about 30 minutes away, so I should be able to make it to at least one of them! I, too, spend several years of high school not learning how to speak German. However, I did manage to spend a Thanksgiving weekend in both sides of Berlin in 1986 (before the Wall came down), courtesy of the Department of Defense and NATO. Talk about your study in contrasts. A quick check of a map shows that your visit will all be in the general vicinity of Munich (OktoberfestLand). Hope you like quaffing frosted barley pops by the liter! All the German you need will be numbers (optional if you can hold up one or more fingers), the word “Bier” [happily, the Germans pronounce it the same as English-speakers] and “Bitte”, the German word for ‘please’. A huge proportion of west Germans speak English too so as long as their accent isn’t too bad, you should get along smashingly. They are quite a friendly and happy lot and love to par-TAY! Oh, I should warn you, they like to eat too. is that really going to be the cover for Fuzzy Nation in Germany- or is that a “place holder” image on Amazon? Ironically, I don’t drink alcohol at all. 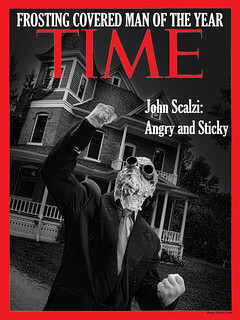 Scalzi International, Inc. Expect franchise opportunities soon. You should stop by Romeo’s Pizza in Landstuhl while you are in the area. It has the best Chicago Style pizza, wings, homemade potato salad, and homemade cole slaw. The German who owns it spent 20 years in Chicago working at a pizza joint and took it all home with him. My family used to drive hours out of our way when we lived in Heidelberg just to get some. Check it out! It’s only 30 minutes outside of Saarbrücken! If you go, can you bring some back here for me? I promise to pay you back. That’s an interesting statement regarding German women. I hope you will soon find your way back to the US. It must be unbearable over here. Good riddance. Beer isn’t alcohol. Beer is… hm… something else. But not alcohol. And I don’t have a drinking problem. Yeah, but if I want Chicago style pizza, I can just go to Chicago. It’s right down the road. @Estara – I am guessing John Opie met and married a German woman and stayed. In Munich you could go to the Englischer Garten and drift naked down the river in the evening by the light of picnic campfires, then walk back half a mile to collect your clothes from up a tree. Well, that’s what I did once in the 80s, visiting my brother, who lived there at the time. The Frankfurt Book Fair is enormous. I went when I worked for college publisher Prentice Hall and we had a pretty substantial stand. Across the corridor was a row of little stands, and one of them was manned, rather surreally, by Mr T promoting his own book. Go get the Rosetta Stone language course to refresh yourself. They work pretty well and are kind of fun. I shall travel all the way from Antwerp to see you!! But the pleasure is having such delicious Chicago style pizza in the last place you would ever expect to have it. Besides, going to Chicago for Chicago style pizza is almost as normal as going to New York for New York style pizza or going to Munich for Oktoberfest – Everybody does that. Be different. Do the unexpected. Maybe you’d consider it worth-it if you imagined that Chicago no longer existed. As of right….now. No, Chicago has to exist at least through Valentine’s Day. I have an appearance scheduled. All in the southwest and south. Unfair! Make Göttingen that last city, I know where all the good restaurants are. Anyway, don’t worry too much about not remembering any of your German. It mostly just amuses the locals when the Amis try to speak the language. (CSB: I learned from an actual German person and cannot imitate the American accent, making me the only person in the family – all native speakers of German – who can’t do it.) But as I was saying, most Germans speak English, though very few of them speak it as well as they think they do. You’ll get by. That’s a fine compromise. If Chicago ceases to exist on February 15th, you’ll have a huge craving for Chicago style pizza by October. It’s perfect. Of course, Chicago should be set to phase back in sometime in early November. That’s only fair. try to make Cologne or at least some other city in Northrhine-Westfalia your last stop. That would make my day. One the other hand this could be the reason to finally visit the Frankfurt book fair. While you’re at the Book Fair, I do hope you will pay homage to PERRY RHODAN, Peace Lord of the Universe. I bet he or his Third Power reps will be there. The first time I went through the Frankfurt airport I stopped at an information booth to ask for directions to the Aeroflot ticket counter. (I was headed to Moscow.) The elderly German fellow manning the booth made me jump when he started yelling: “You WILL go to zee second terminal! You WILL have your passport! You WILL be there one hour before your departure time!” He ended his very helpful tirade much like pro wrestler Baron von Raschke, the Butcher of Berlin: “UND THAT IS ALL YOU NEED TO KNOW!” So don’t be shocked if the German folk yell as if you should be in Stalig 13. Have a nice trip, ahem. If you like someone to show you the town when you’re in Munich, please let me know – I would like to submit my candidacy. Should you desire I can provide character references. How cool! Although I live in the Netherlands, I’m seriously thinking about driving there to greet one of my favourite temporary SF writers! Great that you come to Germany! If I can arrange it in any way I will be there, probably in Frankfurt (Never had the chance to go to a book fair, that´s entirely not fair (yeah, bad pun intended)). I probably should thank Heyne for actually bringing you here, even if I really seldomly read books in German anymore (the Heyne translation of the Wheel of Time quickly disabused me of that). However, I´d totally buy a German version of Fuzzy Nation if that means I can get it as a signed hardcover! I’m happy to say that my German translator by all accounts does a good job, so reading me in German isn’t painful. 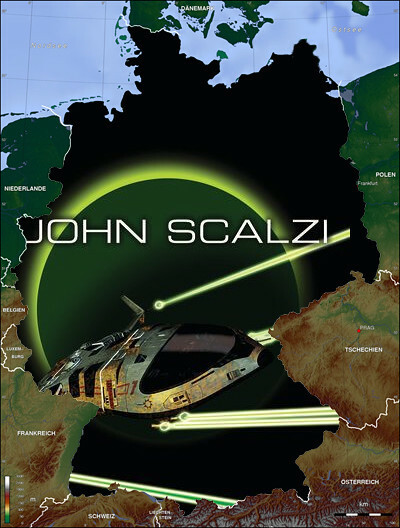 Scalzi’s supposed to be in Saarbrücken so he won’t be too far from Landstuhl and K-town. When in Bavaria DON”T TRY THE BEER!! Best not too. It’s a taste of Heaven, and if you don’t drink, why start? If you like ice in your drink, you’ll have to ask. You need to try the Jägerschnitzel mit Pomme Frites ( a mushroom gravy covered pork cutlet with french fries). Best thing I ate in two years in Germany. Octoberfest ends first weekend of October. If you get a chance, go. It’s pretty cool like a very large county fair. Try get the family over if you can. See some castles. I’m sure you will enjoy this as much as you did Australia. I’m sure you will enjoy this as much as you did Australia. Maybe better. Germany doesn’t have 2.37 lethal creatures per square meter like Austrailia does. #51 – they do have Bacillus thuringiensis which creates its own natural pesticide. So if you expand the definition of “lethal” to include caterpillars, they potentially they have 2.37 million lethal creatures per square meter. When in Frankfurt avoid the “handkaese mit musik”, a local “delicacy” (hard cheese marinated in vinegar) which is best experienced from a distance. Also, if anyone offers you Munsterkaese . . . run. I liked Tuebingen. I wasted a perfectly good year of my wayward youth there. I was supposed to be studying, but… well… beer, sausage, cheese, and internet (*) gaming. These things happen, you know. Wrong half of Germany for me, unless I’m going to Frankfurt book fair this year. But I hope you’ll enjoy yourself. I feel much more accomplished now. I am also crappy at speaking German, and it only took me 3 years of it in high school to get that way instead of your 7. Some of the finest pork products I’ve ever had were in Munich. Beer halls aren’t just good for beer, I know you don’t drink, but the schweinshaxe is to die for. I loved living in Germany, 13 years on and off at the whim of Uncle Sam. You’re seeing some of the best parts of the country, too. I second the idea of refreshing your memory with Rosetta Stone German. While most Germans, especially the younger ones you’re likely to meet in the Sci-Fi crowd, will speak English better than most people in Ohio do, being able to exchange pleasantries, get the gist of a conversation, and read the signs makes for a much better experience. I left Germany in 2007, I hope I get to return soon. Cool! Oh, wait, what, no Berlin???? It’s only the largest city (more inhabitants as all your other destinations put together) as well as by far the coolest place (well, ok, Freiburg’s all right, but seriously, Stuttgart and Tübingen???). Sure, Berlin is a small hop away from the rest of the area you’re visiting, but if I were to plan an authors book tour I’d go for Frankfurt (for the fair) and Berlin alone and skip all the rest. While you are there can you find out what the deal is with all the laser-firing spaceships? Has there ever been a science-fiction book published in Germany *without* such a ship on the cover? Consider Dusseldorf as your optional city. The cities I’ll be going to are not up to me. I did a lot of events with the folks from the consulate in Munich a few years back, and if that experience is any guide you will be in good hands for things like restaurants and ensuring that you see the local high points. What they are not likely to think about, however, is whether you would like to have time scheduled for more informal meet-ups with area fans. (Heyne may be thinking about that; all my author-tour experience is Stateside, so I don’t know what they’re like.) If you want to do that sort of thing, you will probably need to tell the State folks working on your trip. I am certain that they will find a good way to accommodate. Yay, Frankfurt :) My city, and my beloved book fair! One more thing to be excited about it this year, I guess. John, as another non-alcohol drinker who has travelled to Germany multiple times, let me just say that you can make for the non-bier trip by inhaling as much jaegerschnitzel and spaetzle as you can. Your diet is going to go to hell in a handbasket, but it will be worth it. If you’re in Stuttgart, just outside of Stuttgart is a small city called Sindelfingen. In that city is a small restaurant that’s part of a horse riding corral. Best jaegerschnitzel and spaetzle around. Oh, hell, who am I kidding? I had good food no matter where I went. Did more damage to waistline in two weeks than I did in a couple of months of visiting fast food joints here in the US. But I enjoyed it. Freiburg and Munich are 2 of my favorite cities in Germany, the third being Regensburg, and Stuttgart is an old friend. Lived there for 3 years in the 80s and spent 2002-2008 in a small town east of Nurnberg. Learn the polite noises and be interested and attentive and you’ll be fine. Oktoberfest is more late September than October, but missing it isn’t really a big deal. Many of the towns and villages have their own fests, smaller, cheaper, more friendly. Not drinking beer isn’t unheard of but be prepared for incredulous looks. It IS a health drink after all (my wife was told that by a very earnest German instructor in our first days there). Show it to anyone you like, of course. If I didn’t want people to know about it, I wouldn’t have posted it here. Bloody autocorrect. “sounds like a GREAT tour …” ahem. Oh Germany, how I miss thee. I don’t think I enjoyed a country as much on my backpacking trip than that lovely one. So I combed the comments, didn’t see it mentioned, and want to point you to something without ruining it. I didn’t know about it until I stumbled upon it, and the mental image has stayed with me ever since. Forgive my obscurity, but I both want you to see it, if you have the time, while not also ruining the amazement of the surprise. And so: when you are in Munich, if you have a moment or two, wander down near the south side of the Englisher Garten, on Prinzregenten Strasse, and enjoy the lovely view of the river as it flows out from under the bridge/tunnel. Very glad you are coming over. You’ll be welcomed heartily. I also hope like some of the others that you’ll be able to appear in Cologne or Duesseldorf but if not I there is always Frankfurt. Please update is all as soon as the details are available. John, I did not want to imply that reading a book by you in my native language would be painful! It is not even that I avoid reading books in german. Sure, translations were a part of the decision to switch to English originals (As I said, the Wheel of Time translations often left me very dissatisfied, since suddenly characters were doing something else, or were somewhere else,…), but I also did the switch because generally the wait for a new book is shorter (I know you could probably smash this theory in an instant, but this is what it feels like to me), the book is as it was intended by the author (take puns or proverbs, which are often hard to translate), and the timing of the switch was such that it helped me get top grades in my english classes without much effort involved. Since then I grew accustomed to this and therefore rarely read German books anymore. So I offer my sincerest apologies. It was never my intention to accuse anyone of doing a bad job on your books. Have fun! Also, if someone in Munich offers you ‘Weisswurscht’ – RUN LIKE HELL. Welcome to good ole Germany, I hope it’ll be a pleasant experience for you. To everyone suggesting Oktoberfest, it is really in September. If it carries over into October it is usually just a few days. I have no idea why but there it is. John, if you’d been an exchange student in Germany you’d be eating nothing but schweinefleisch. Nothing to see here, keep moving. Seriously, have fun in Germany! I thought Weisswurst was fantastic the first time I had it. With mustard and a fresh pretzel. Although I actually don’t care for jaegerschnitzel. Now schweinehaxen, that’s the money food. Anyway, this is awesome because both Stuttgart and Frankfurt are both equidistant from me. Hopefully I’m still around by October for this. and of course, that old standby, “Bitte Nicht schießen! Bitte Nicht schießen!”. OK, I never had to use nicht schießen or purchase a black and white television, but man, that Kraftwerk thing came in handy. Seriously though if you make an effort to speak German, even if it’s only to apologize for how badly you speak German the Germans will be absolutely thrilled by it. I lived and worked in Germany for a year and a half and I never met a single German or Austrian who wasn’t incredibly gracious and patient with me while I butchered their language. Many of the Germans you’ll meet speak excellent English and when you try to speak German will graciously compliment you on your skills, just remember this phrase when they do “Vielen dank, aber ihren Englisch ist hunderttausendmal besser als mein Deutsch (“Thank you, but your English is a hundred thousand times better than my German”) and you’ll do great. And remember, German is the language of love! No chance of jumping over the border to Vienna, then? Hey I live in Saarbrücken – I’m really looking forward to your visit. I am mad with envy. I spent 7 1/2 years in Germany as a kid (Dad worked for Uncle Sam). Mom didn’t like the local DoD school, so I found myself my first day of third grade in the local Volksschule speaking maybe three words of the language. When Dad finally decided it was time for his three kids to experience America, I was fluent in both German and the local Bavarian dialect. It’s a very beautiful and friendly country–or was oh so many years ago … I spent an entire military career trying to get assigned back, and never got anywhere. You should visit Hamburg – the most beautiful city in Germany! I’m very happy you will visit Munich. Please post the date as soon as you have it (if I have to leave work to make it to your signing, I will take a day off, I swear! ).